PORTLAND, Oregon—(February 2019) – The Data Center Industry is focused on how it safely, more efficiently protects data, facilities, the people working there ––and expands the bottom line. 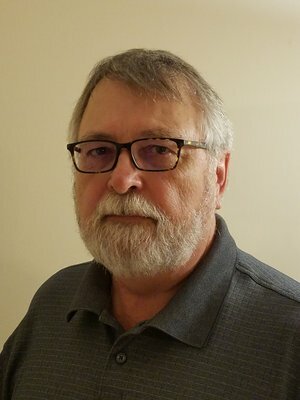 At Data Center World 2019 March 19-22 in Phoenix, Arizona, nearly 2,000 IT Infrastructure, Data Center and Facilities professionals will have the opportunity to hear national battery expert, Dan Lambert outline the latest UPS battery choices and how to safely implement them. Lambert’s presentation, New UPS Batteries - Keep Up So You Can Keep Backin’ Up, is March 21, 9:10 am, room 123. Lambert’s career experience includes installing, maintaining and testing stationary battery systems and most of the available battery chemistries; battery monitoring and fault detection; and expertise with AC and DC power, UPS and rectifier systems. He’s participated in large scale energy storage analysis projects and has investigated potential storage systems including mechanical, electrical and chemical. Lambert is a member of the IEEE Power and Energy Society and serves as the chairperson for the IEEE Energy Storage and Stationary Battery Committee’s IEEE 1491 Battery Monitoring Working Group. He is also Senior Product Manager at ZincFive, first to deliver green, nickel-zinc uninterruptible power supply solutions to mission critical industries. ZincFive is the world leader in innovation and delivery of nickel-zinc battery-based uninterruptible power supplies for mission critical applications in Data Centers and Intelligent Transportation and offer batteries for stationary, motive and start-stop applications. With 95 patents awarded, ZincFive leverages nickel-zinc chemistry within its solutions to provide high power density and performance simultaneous with superior safety and environmental advantages. ZincFive is a privately held Company based in Tualatin, Oregon. zincfive.com.